Tim’s friend Sandra picked us up in Geneva to bring us to her house outside the town of Chexbres. 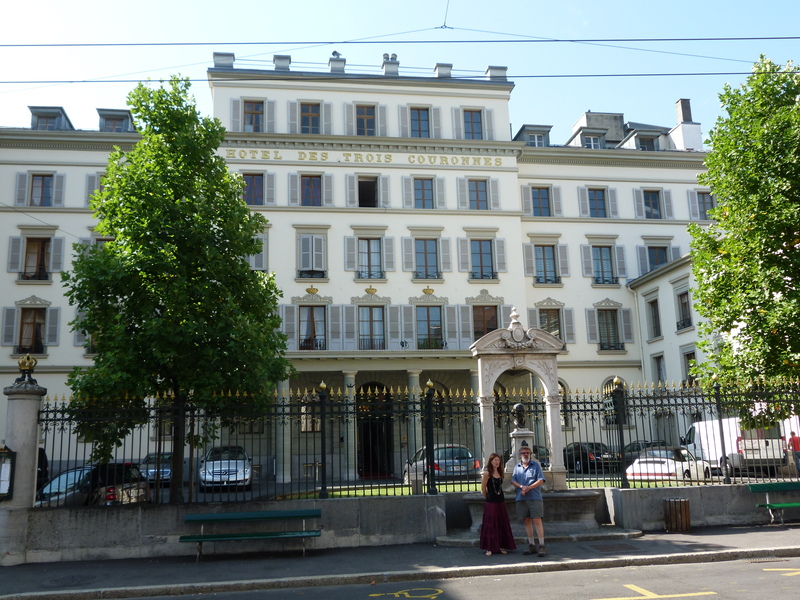 Leaving Geneva we made a quick stop to Cologny to see the Villa Diodati, where Mary Shelley first began to write Frankenstein. It’s hard to imagine such a dark book coming out of a villa set in such a sunny, well-manicured garden. 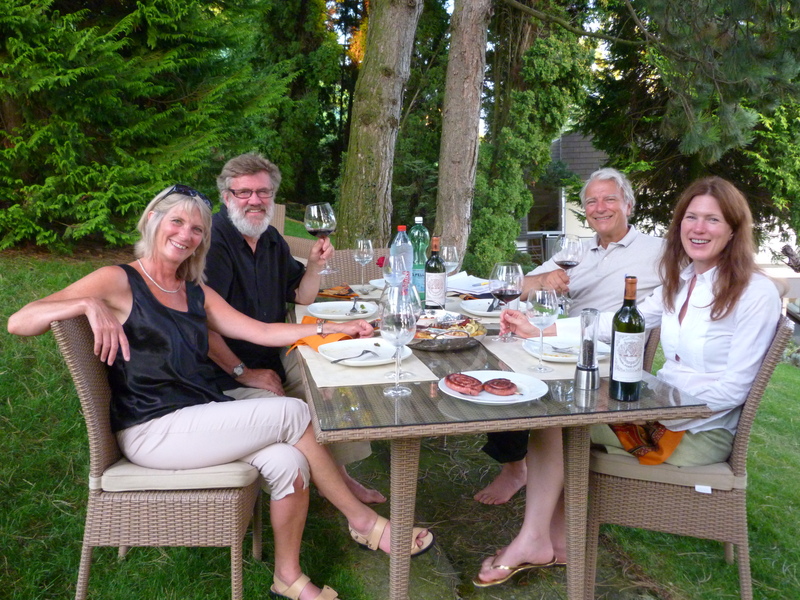 Born in the U.S., Sandra now lives with her husband and daughter in the Lavaux region of Switzerland. 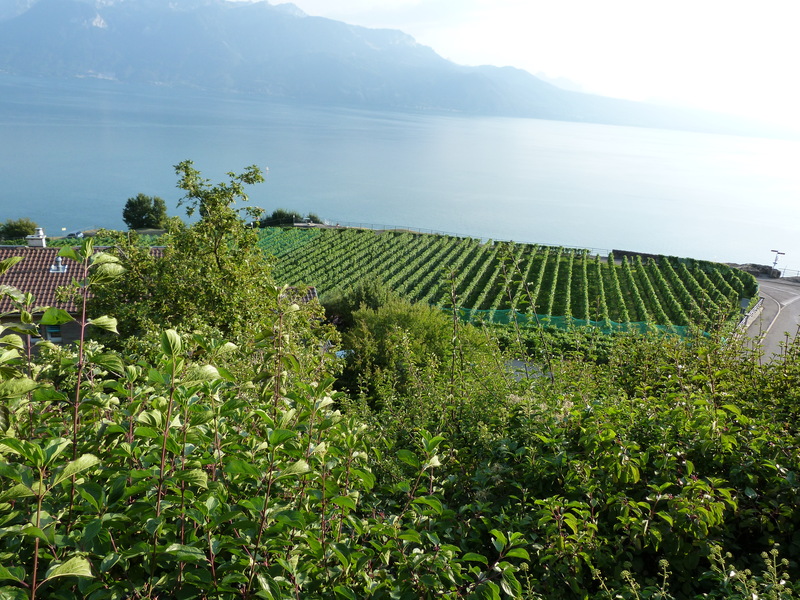 Designated as a World Heritage Site in 2007, the Lavaux Vineyard Terraces stretch for approximately 30 kilometers along the north shore of Lake Geneva. A unique microclimate, the area has been under cultivation as a wine-making region since at least the 11th century, when Benedictine and Cistercian monks created the stone terraces that hold the grape vines to this day. The grapes continue to produce exquisite wines. Why have I never heard of them? “Unfortunately, they do not travel well”, says Sandra’s husband with a glint in his eye. Switzerland is proving to be a country of many surprises. 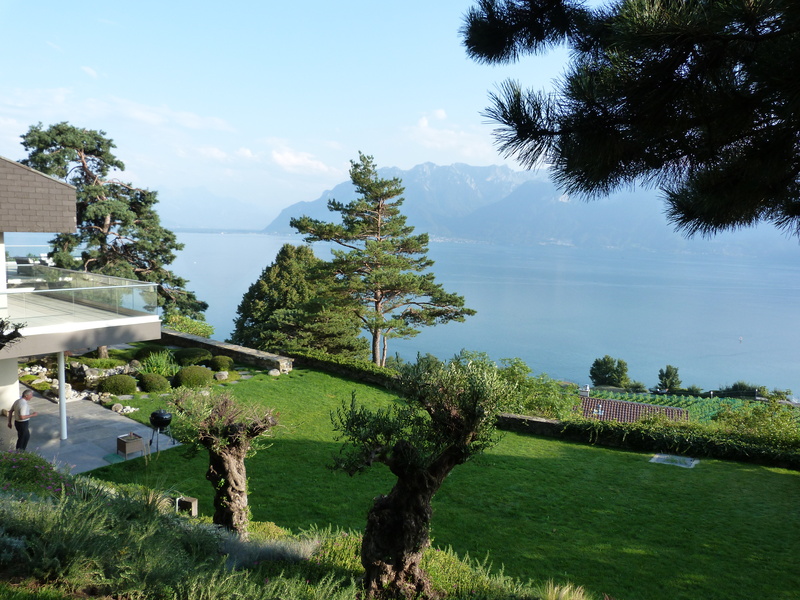 Sandra’s house is a calm oasis amongst the terraced grape vines, directly overlooking Lake Geneva. Designed as a retirement project by a successful engineer, it is a house whose deep windows open to the extraordinary scenery; a house of “noble” products: wood, stone, and polished granite floors. We sip a Dezaley white wine, the appellation of the region. We watch the mountain range on the other side of the lake slide into the purple of the night sky. The French Alps with the famous city of Evian twinkling on the shore. It is an evening of astonishing beauty and invigorating talk under the scent of pine trees. In the morning, we are given a tour of the area, with a brief glimpse of Saint Saphorin, a tiny town that sits atop an ancient Roman villa and produces some of the best wine in the region. 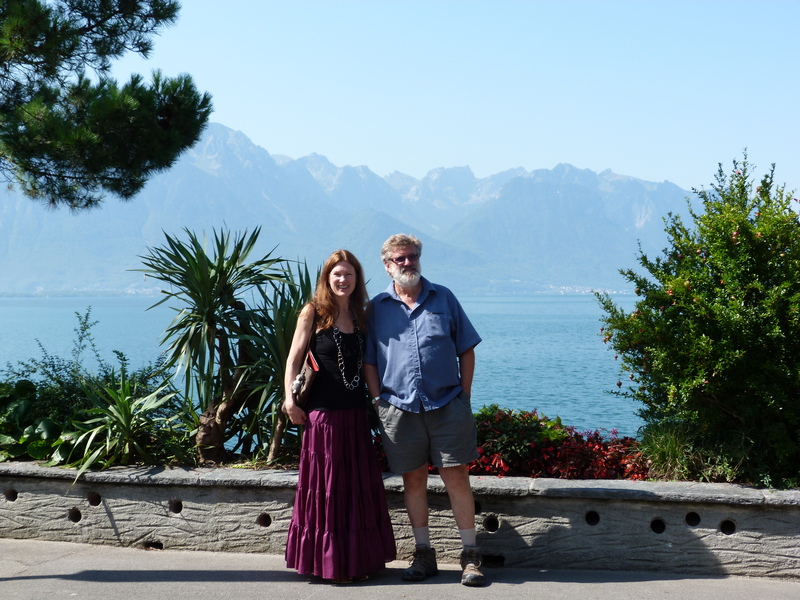 We drive along the lake down to Montreux, known to me primarily for the famous jazz festival. In days gone by it was one of the essential stops for Europeans on a “grand tour”. 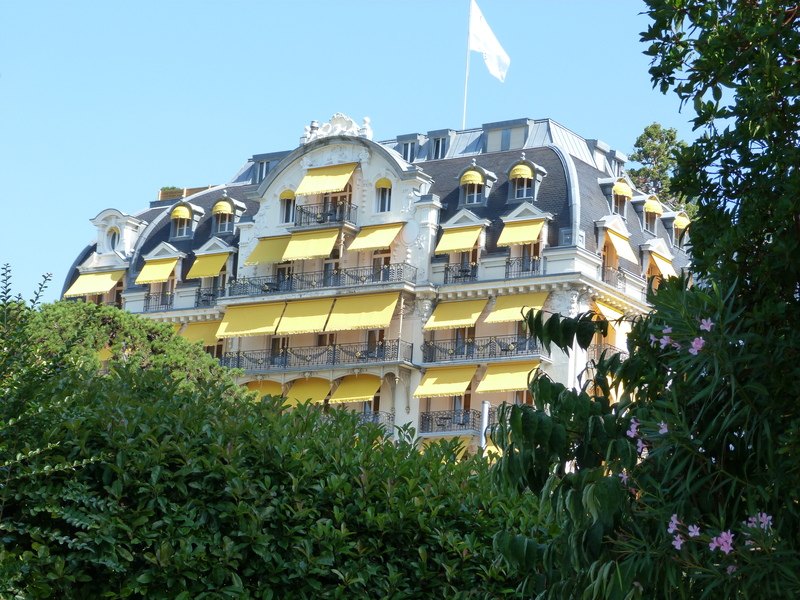 Sandra also takes us to the Hôtel des Trois Couronnes in Vevey, the smaller of the “grand tour” hotels and the setting for Henry James’ novella, “Daisy Miller”. We wander into the fin-de-siècle lobby and out onto the gorgeous terrace looking out over the topiary to the sun-drenched lake. 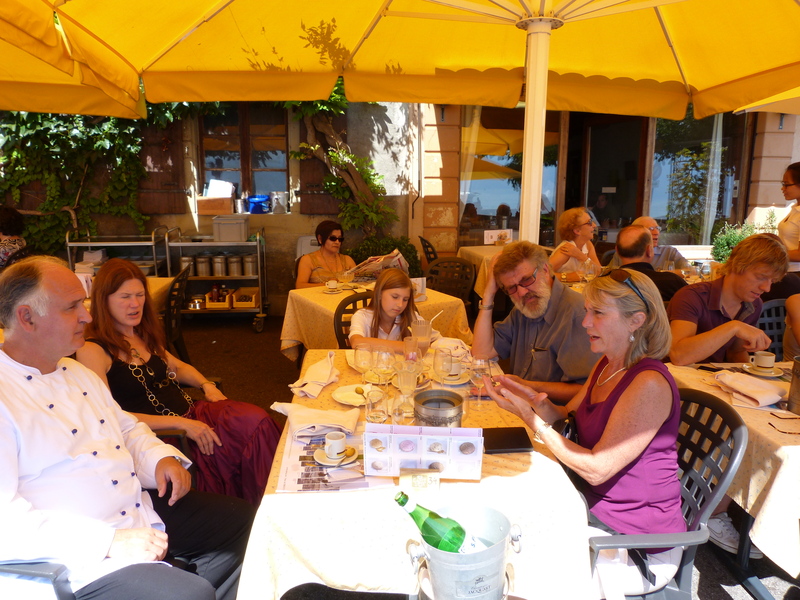 We lunch in Lutry, at the Café de la Poste, right beside Lake Geneva. The specialty is tiny Perch fingerlings, fresh from the Lake. Tim, who knows a thing or two about filleting, can’t imagine the difficulty of filleting these tiny fish, but the taste is well worth any effort. The chef comes to our table to explain the cooking process in which the fillets are soaked in milk for half a day, patted dry and lightly floured on the flesh side only. Butter is melted with a little oil and permitted to slightly brown. The fillets are gently fried, always starting with the flesh side first. A delicious sauce, made from a lemon reduction, melted butter, cream and shallots is ladled over the perfect morsels. Sandra surprises us by ordering another specialty of the Lavaux region for dessert: Raisins à la Lie et Glace. La Lie is a distilled alcohol, (“sort of like Grappa”) made from the second pressing of the grapes. White Sultana raisins are soaked in the Lie (pronounced Lee), which is slightly diluted with a simple sugar syrup and some lemon zest. Our spoons dip through the creamy ice cream to the sweet alcoholic prize below. 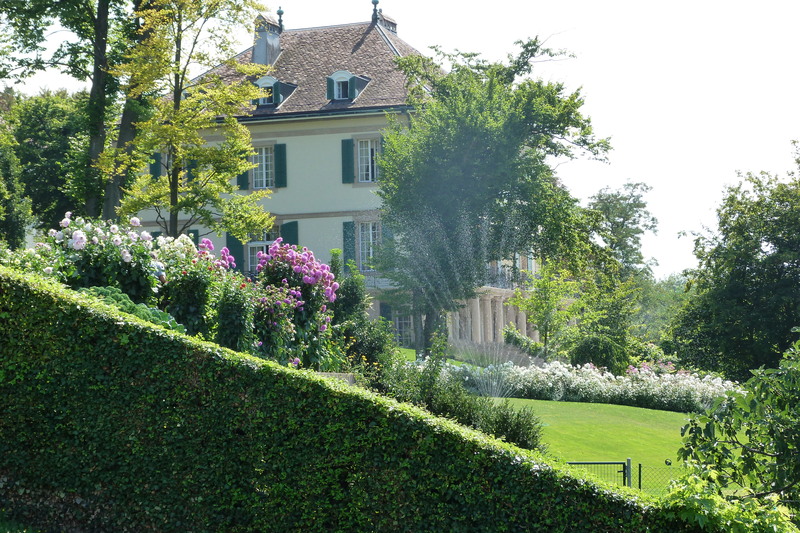 Our experience of Switzerland is full of surprises. Clearly this is a country of much more than cheese, chocolate and cuckoo clocks!